There seems to be a new diet every day. While the bulk of these fads often ignore your body’s overall health in the interest of shedding a few pounds, there’s a new diet on the market that just might hit the right balance of healthy weight loss and total body wellness. This increasingly trendy eating style is the Microbiome Diet. Dr. Raphael Kellman created this diet with the goal of restoring the health of your gut by eating certain foods and avoiding others. Your gut microbiome consists of trillions of bacteria and other microorganisms. These tiny organisms in your tummy are both friendly and unfriendly. The right balance of the two in your gut should improve digestion, reduce inflammation, eliminate cravings, and boost metabolism. According to Healthline, hitting the correct balance can also decrease anxiety and improve brain function and mood. 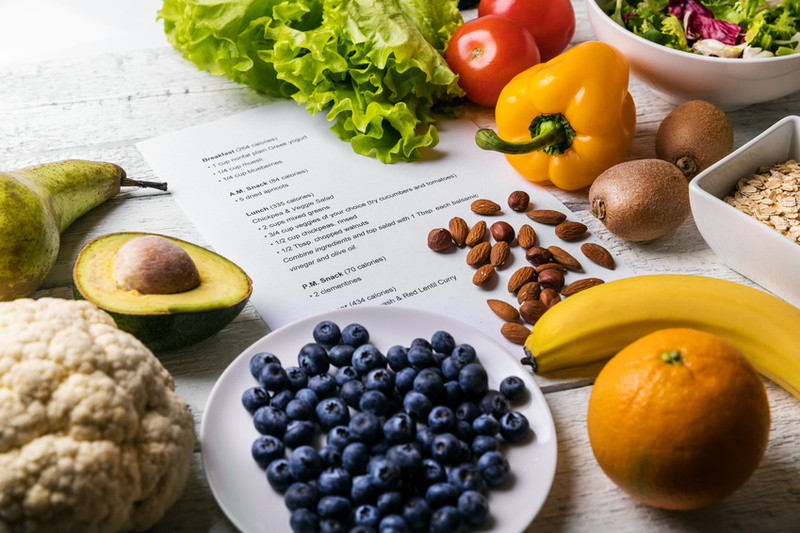 With mental health conditions affecting one in five American adults, roughly 43.8 million people in the country, the Microbiome Diet could be worthwhile for the mental benefits alone. The microbiomes in each individual’s gut differ significantly, depending on the person’s lifestyle and diet. Research has shown that the Western diet, which is low in fiber and high in animal fat and protein, is linked to the production of cancer-causing compounds and inflammation. In comparison, the Mediterranean diet is high in fiber and low in red meat. These small, simple differences have been linked to increased levels of short-chain fatty acids that improve the immune system and have anti-inflammatory effects. The Mediterranean diet can also help prevent type 2 diabetes and improve glycemic control. While all of this theory is great in concept, what exactly are you meant to eat as part of the Microbiome Diet? Let’s take a look. How Does The Microbiome Diet Work? The diet consists of three phases. The first lasts 21 days and is the strictest of the three. To align with this phase, you need to cut out foods, toxins, and chemicals that cause an imbalance in your gut. This includes avoiding eggs, grains, starchy fruits and vegetables, and any packaged or fried foods filled with artificial additives. Instead, you should be eating an organic, plant-based diet with food rich in prebiotics, such as leeks, asparagus, garlic, yogurt, kimchi, and sauerkraut. The second phase lasts 28 days and allows you more flexibility, as it is assumed that your gut microbiome has gotten stronger. While you need to avoid much of the food you did in the first phase, you only need to do this 90% of the time. You can also add dairy, gluten-free grains, free-range eggs, and most fruits and vegetables back into your diet. The third phase has no set length; you should simply follow it as long as you want to maintain any weight loss you’ve seen so far. At this point in the diet, your gut microbiome should be almost fully healed, so you only need to avoid the harmful foods 70% of the time. While you are eating according to this diet, you should also keep up with regular physical activity. Even doing something as simple as hiking, which was the fourth-most popular outdoor activity in the U.S. in 2017 with 44.9 million participants, can improve your overall health. The research surrounding this diet is still developing as it gets more attention. Even at this point in the trend, however, it’s clear that you may be able to turn your health around by simply listening to your gut.